New this year, Toy Story Land will be get in on the fun with decorations, character costumes, and special snacks. Even Slinky Dog Dash and Alien Swirling Saucers have new, holiday themed overlays. And, of course, there is an adorable Santa alien popcorn bucket. Returning after a spectacular debut last year is Sunset Seasons Greetings. 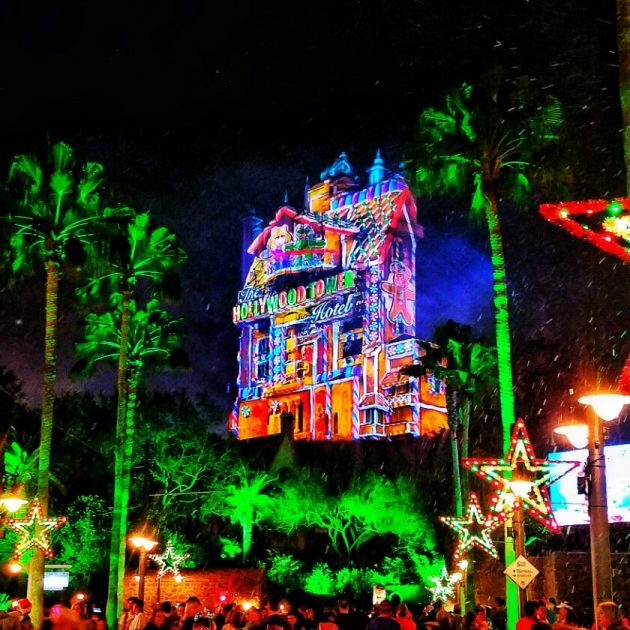 For those unfamiliar, Tower of Terror is transformed by projections from dusk until park close depicting cartoon holiday stories. This year they’ve added lasers. And it snows! We really enjoyed this , especially since crowds aren’t a problem because it runs all night. Jingle Bell Jingle Bam is also back. 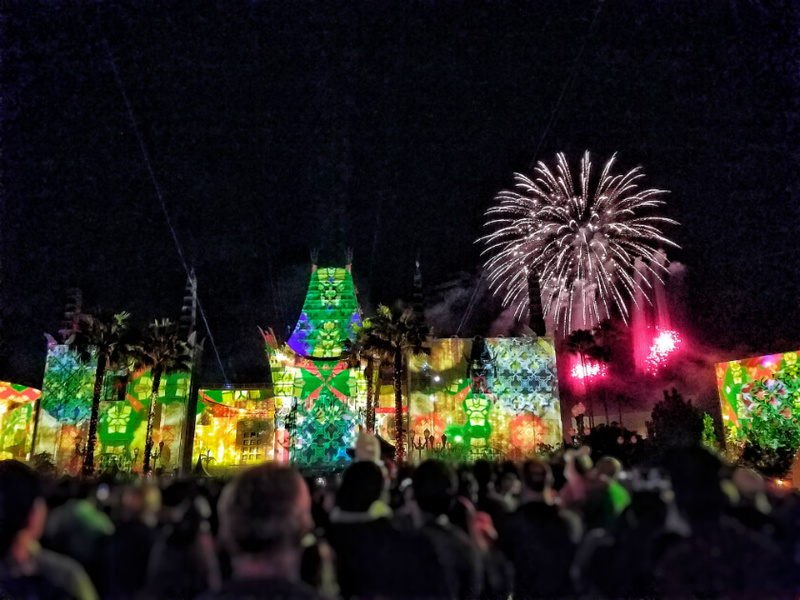 This is a mixed media fireworks show with projections on Gaurman’s Chinese Theater. It is cute for kids, but personally we prefer Star Wars Galactic Spectacular. And, as expected, there is an add-on dessert party for Jingle Bell Jingle Bam (with alcohol) costing $79 for adults and $45 for kids. Santa Claus has stopped by Hollywood Studios to listen to everyone’s wishes. You’ll find him at Once Upon a Time. Of course, it wouldn’t be the holidays without delicious special snacks throughout the park. We are looking forward to trying the gingerbread pop, spiced cold chocolate at Rosie’s All American Café, eggnog panna cotta at Catalina Eddie’s, spiked hot chocolate flight at Fairfax Fare (but we wish they’d bring back the individual option since we love us some Bailey’s), and frozen hot chocolate. It’s that time of year again, time for Mickey’s Very Merry Christmas Party at the Magic Kingdom. Very Merry is a Christmas themed hard-ticket event. You have to buy a separate ticket to attend, not just a regular park ticket. 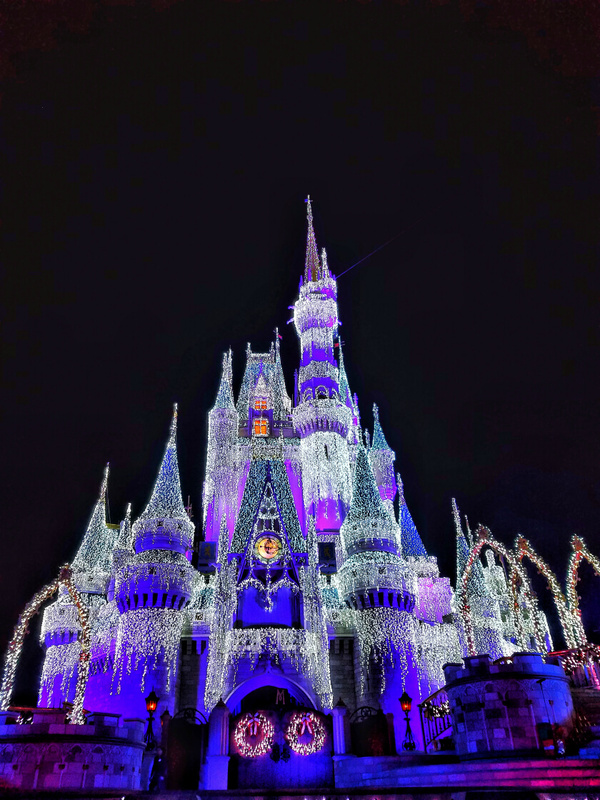 The party starts with Elsa lighting up Cinderella’s Castle, and features a special parade (with snow on Main Street), castle shows, character meet and greets (the 7 dwarfs are a perennial favorite), all you can eat cookies and hot chocolate (email us for a special adults only trick), and Holiday Wishes fireworks. In addition to the now ubiquitous dessert party add-on, new this year is Tony’s Most Merriest Town Square Party. 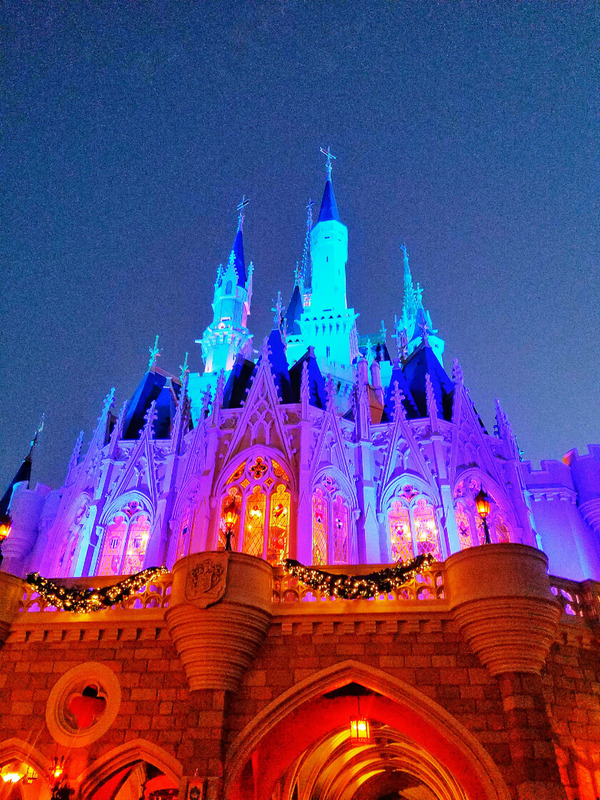 This 3.5-hour party in Tony’s Town Square Restaurant has apps, hot food, Christmas themed desserts, and, in a Magic Kingdom first, all you can drink beer and wine. You also get an exclusive viewing area for the parade. Tickets are $99 (+ tax) on top of Very Merry party tickets. If the description provided by Disney is to be believed, this could be worth it, especially if you are a drinker, but keep in mind, it would be at the expense of spending time around the park during the party. For those who play Sorcerers of the Magic Kingdom, there is a party exclusive Walt Disney’s Tiki Room card. The party begins at 7 p.m., and requires a special ticket. Your ticket will get you into the Magic Kingdom as early as 4 p.m. Tickets start at $95 and are available here. Note you have to buy a ticket for a specific night. 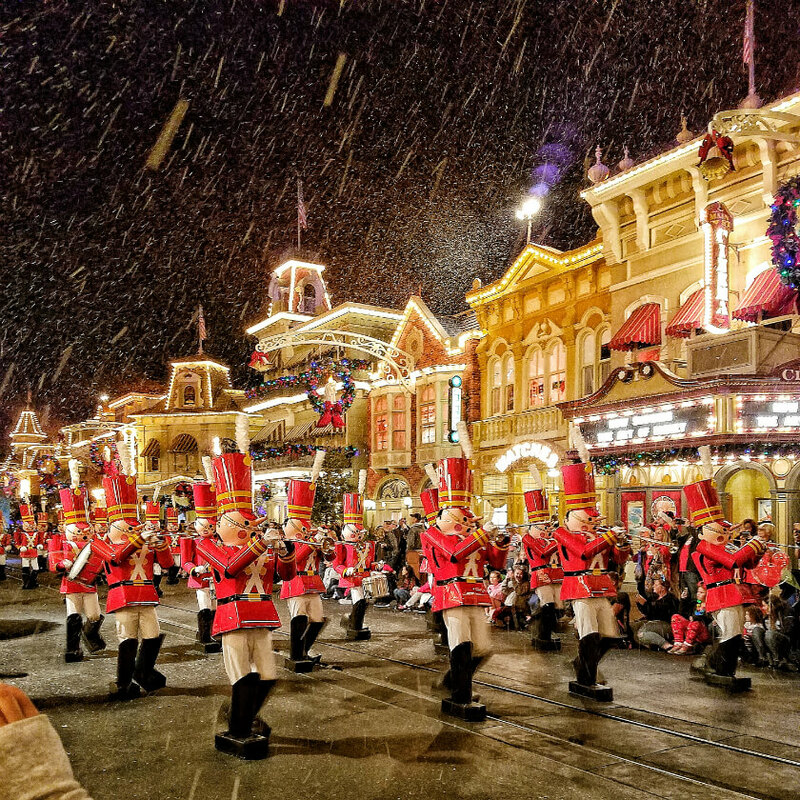 Even if you don’t plan on going to Mickey’s Very Merry Christmas Party, you should be aware of it because the Magic Kingdom will close early those days. 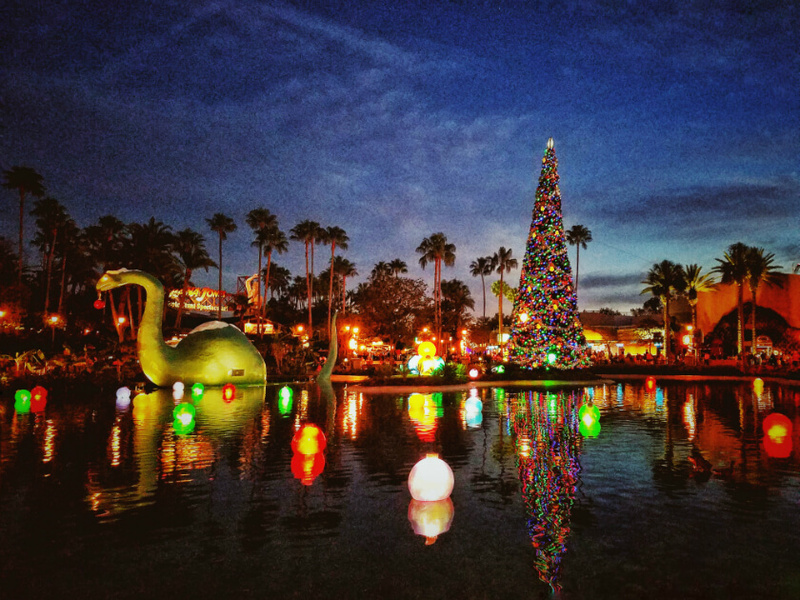 Disney Springs also gets in on the holiday fun this year bringing back the Christmas Tree Trail. 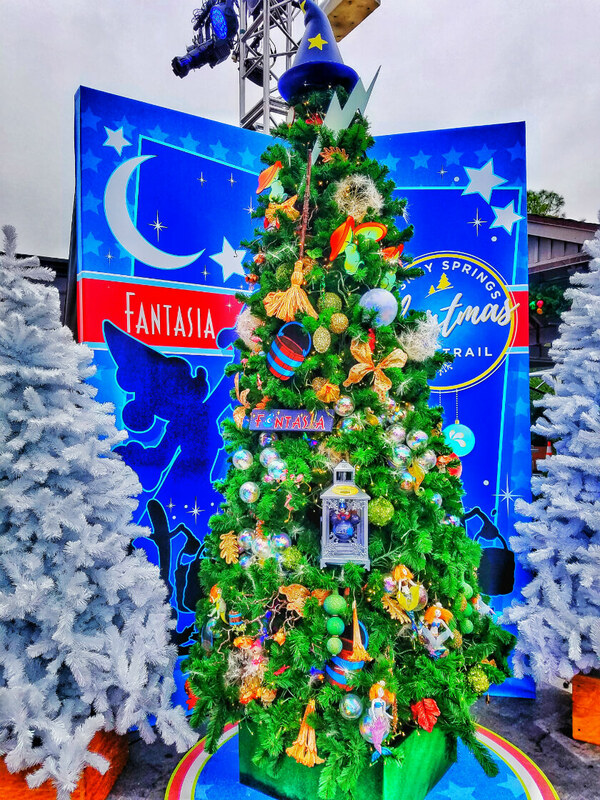 This year there will be 27 themed trees, from classic princesses to Star Wars (new for this year). This year Chef Art Smith’s Homecomin’ will be serving holiday beverages featuring Ole Smokey Shine Nog (if you haven’t had it try it, trust us) along the trail. We enjoyed doing this as a part of a trip to Disney Springs last year, and we would definitely recommend checking it out if you are already there. But it would be harder for us to recommend going out of your way to stop by Disney Springs just to check it out. It’s not that much of an attraction. There is a new backstage animal experience at the Animal Kingdom, and you get to up close and personal with rhinos. This 60-minute tour costs $40 (with discounts for annual passholders and DVC). You may even get to pet the rhinos! Dapper Days is an unofficial biannual event at Disney World (and Disneyland) celebrating the bygone days when people dressed up to go to the parks. It is considered a conference by Disney, so room and ticket discounts are available. Visit here for more details. While part of the fun is dressing up in your favorite retro duds, it is by no means a requirement. And there is also no cost to attend the park outings (aside from park admission of course). This year’s fall event kicks off at Paddlefish in Disney Springs from 7-10 p.m. on Friday, November 16th. On Saturday morning, November 17th, Dapper Days will start at Animal Kingdom, and then move to the Magic Kingdom around 3-5 p.m. for the rest of the evening. This will wrap up Sunday, November 18th, at Epcot. Mickey Mouse, and his love Minnie, turn 90 years young on November 18th. And while some of the celebration will continue all year long, there are special things planned for the weekend of November 16-18th. Not all the details have been released, but you can believe there will be lots of birthday celebrations at Magic Kingdom, including Dapper Dans singing Happy Birthday and a birthday dance party in Tomorrowland. You’ll be able to check out special snacks like a Birthday Bash Push Pop, Confetti Mickey Pretzel, Mickey Cheeseburger at Cosmic Ray’s Starlight Café, Minnie Kitchen Sink Sunday at Plaza Ice Cream Parlor, Cheesy Hot Diggity Dog (not sure how this is Mickey birthday worthy but to each their own), and Steamboat Willie Cookies and Cream Cheesecake. Epcot is getting in on the fun with a special button, merchandise, and of course desserts. It is a birthday party after all. Kringla Bakeri og Café, Sunshine Seasons, and Fountain View (Starbucks), will have special cupcakes and cheesecake. And even the table service restaurants will have special Mickey magic (although the more we are reading it just seems like a special dessert/salad at Garden Grill and Coral Reef). You can also get birthday cupcakes at Animal Kingdom and a piece of cake at Hollywood Studios. The resorts aren’t left out of the fun either. They will all be having a specialty dessert or cupcake in honor of Mickey Mouse. The one at Contempo Cafe in the Contemporary looks amazing. Disney Springs will of course have a ton of merchandise celebrating the Big Cheese, as well as specialty desserts, including a special cake at Amorette’s Patisserie. 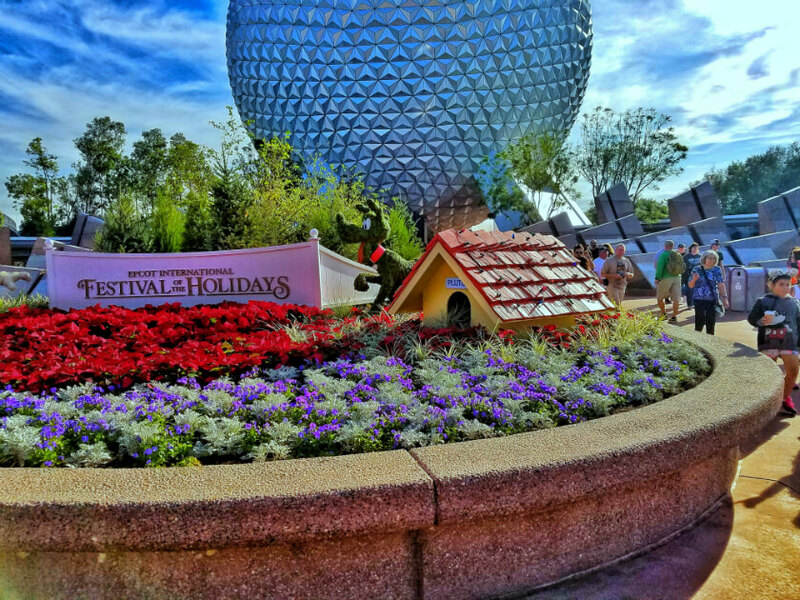 Epcot gets in a festive mood for the holiday season with the Epcot International Festival of the Holidays beginning November 18th. As with every Epcot festival there are food marketplaces, these ones featuring seasonal foods from around the world. There will be 12 marketplaces this year around the World Showcase. It is like a smaller version of Food and Wine, but with more filling portions. We are especially excited to try all the drink concoctions and wine flights. New this year is the L’Chaim kitchen featuring classic Jewish delicacies. 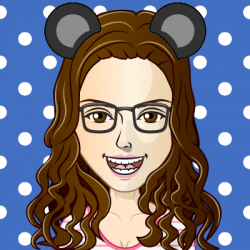 Can’t wait to see Disney’s take on matzo ball soup. And if cookies are your pleasure, check out the cookie trail. Get 5 stamps by buying 5 cookies and get a completion cookie. But you don’t have to get them all in 1 day, so you can spread your sweetness out. There will also be storytellers throughout World Showcase telling holiday tales from their countries. There are other types of folk holiday entertainment, including a klemzer (traditional Jewish European style) band we found particularly entertaining last year. Of course, there are holiday decorations all over Epcot. And Illuminations even has a special Peace on Earth Finale. Illuminations will be replaced over the summer, so this may be your last time to check out this special ending. Continuing a tradition, Annual Passholders can pick up a special goofy magnet at Mouse Gear or Port of Entry. While it may already be Christmas at the parks, there are still ways to celebrate Thanksgiving at Disney World. Many restaurants have Thanksgiving specials. But keep in mind that they some of these may not have their regular menus in addition to the specials. In the Magic Kingdom, it is Thanksgiving every day at Liberty Tree Tavern. If you are spending the day in Epcot, there will be Thanksgiving specialties at Askerhus Royal Banquet, Biergarten, Coral Reef, Le Cellier, and Rose and Crown. Most food courts throughout Disney World will also have Turkey Day specials. Outside of the parks, Cape May Café, California Grill, Whispering Canyon Café, Sanaa, Trails End, and Ale & Compass will have special Thanksgiving menus. Disney Springs is another place to celebrate the holiday with specials at STK, Raglan Road, and even Wine Bar George. If Thanksgiving isn’t complete for you without Black Friday shopping, check out the specials at Disney Springs. 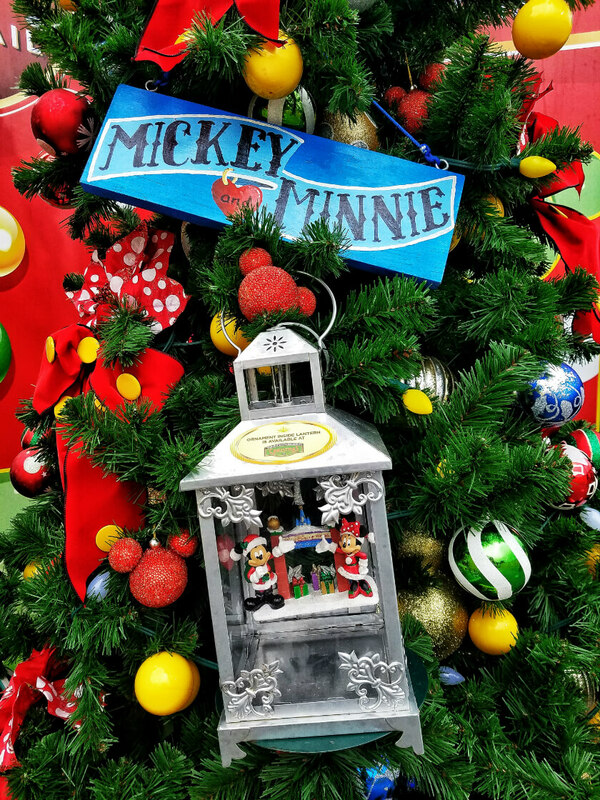 In addition to Mickey’s Very Merry Christmas Party (see above), there will be another hard ticket party this month at the Magic Kingdom – Disney After Hours. While this party doesn’t have a theme (unlike Very Merry), it does have limited guests = shorter wait times for the most popular attractions. There will also be snacks and beverages included. There will only be one party night this month, November 26th. 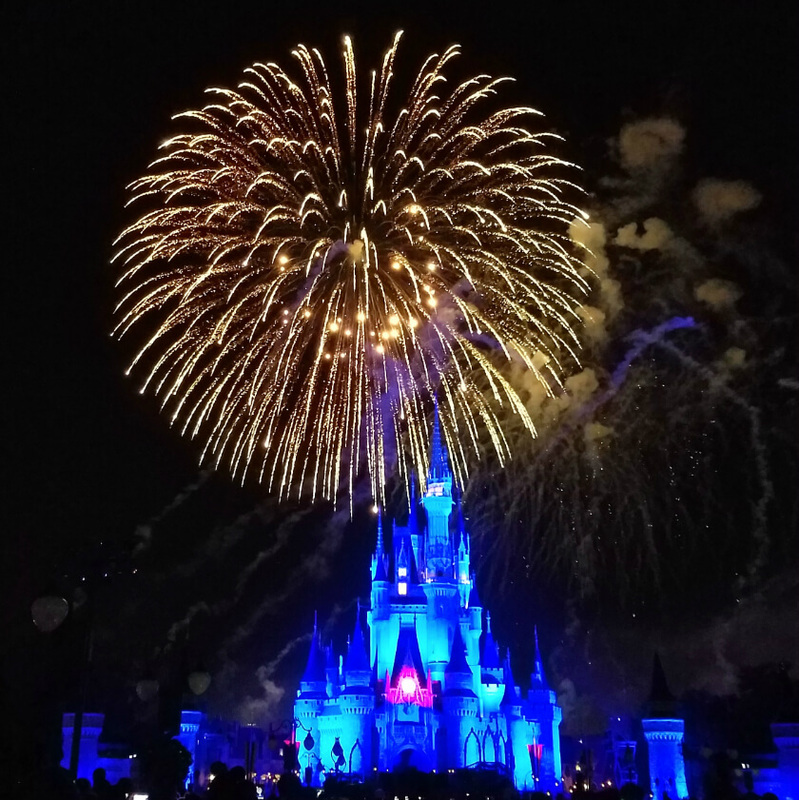 Official hours are 10 p.m. – 1 a.m. (for all you night owls), but you can get into the Magic Kingdom starting at 7 p.m., so you get 6 hours if you don’t otherwise have an admission ticket. As with all hard ticket parties, separate tickets are required. Tickets are $125 in advance and $129 day of (plus tax). Disney Vacation Club members and Annual Passholders can get tickets for $95. Tickets are available here. Next month you can join Santa and Mrs. Claus for breakfast at T-Rex in Disney Springs. Also next month in Disney Springs, Wolfgang Puck Bar and Grill will opens. They’ll be serving lunch and dinner. Reservations for both are available now. Some new shopping spots opened up in Disney Springs. Disney Tails is now open in Marketplace Co-Op. We will be stopping by to pick up souvenirs for Pluto (and all the other pets in our life). Lovepop is another new spot in Marketplace Co-Op. Check it out for your 3D pop-up greeting card needs. Art of Disney is presenting a pop up shop featuring Greg McCullough, and the artist himself will be there Tuesday through Sundays from 1 p.m. to 7 p.m.
Kate Spade New York now has a Disney Parks collection featuring adorable shopper bags and clutches. They started at Ever After Jewelry Co. in Disney Springs, but will soon be available throughout Disney World. If you have been enjoying the Play Disney Park App, you are in luck. Disney has released pins for completing quests, for a cost of course. Speaking of pins, and quests, Animal Kingdom now has a pinquest, which combines a scavenger hunt and pin collecting. You purchase a starter kit then collect 6 more pins throughout the park (for an additional cost) as you go on the quest. Also in Animal Kingdom you can get into the holiday spirit with a gingerbread Mickey straw and snowman ornament drink holder. 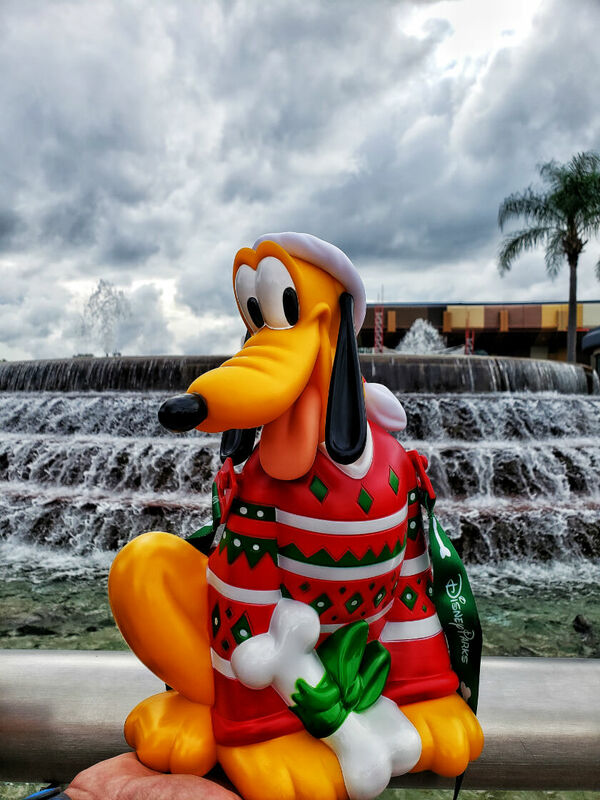 For even more Christmas cuteness check out the Pluto Christmas Sweater popcorn bucket, available now throughout the parks. The All Star Resorts cupcake of the month for November celebrates Alice in Wonderland with a Cheshire cat cupcake. There are fall pumpkin specials throughout the resorts including at Gasparilla Island Grill in the Grand Floridian, Contempo Café in the Contemporary, marketplaces in the Yacht and Beach Clubs, Boardwalk Bakery, and the All Star Resorts. Capt. Cook’s at the Polynesian has a secret new burger with spam. Yes, you read that right, spam. Beaches and Cream at the Beach Club Resort now has over the top milkshakes (literally milkshake with dessert toppings). Last but certainly not least, Tambu Lounge in the Polynesian has finally reopened. The space doesn’t look drastically different. And from what we can tell the biggest difference from guests perspective may be the new menu. Follow along on Instagram and Twitter for more updates as we get more information and, hopefully, check it out ourselves soon. There is a new breakfast option in the Magic Kingdom – the Plaza Restaurant. And they have lobster benedict! Breakfast is served from 8 – 10:30 a.m. and advanced dining reservation are recommended. In the ever-expanding world of secret menus, Liberty Tree Tavern has added a secret burger – their cheeseburger with egg and lobster on top. Storybook Treats has a new ice cream treat – Tink’s Pixie Dusted Cone – featuring the lime soft-serve and cotton candy on the cone. There are 2 new themed slushies, Space Ranger Slush at Launching Pad and Wonderland Slush at Cheshire Café. The hot dog of the month at Casey’s Corner is poutine, which means the fries of the month are also poutine fries. Mac and cheese is back on the menu at Friar’s Nook and it’s got crazy toppings just like the tater tots. It wouldn’t be the holidays at Disney World without special treats. You can find holiday cinnamon rolls at Gaston’s Tavern, peppermint ice cream and sundaes at Storybook Treats, large Mickey holiday cinnamon rolls at Main Street Bakery, ugly sweater brownies at Casey’s Corner, and Christmas cookie sundaes and milkshakes at Auntie Gravity’s Galactic Goodies. Flame Tree BBQ has switched up their menu, swapping some items out for new versions. The smokehouse chicken salad has gotten good reviews, but the apple crisp cupcake has not. There is also a new kid’s turkey sandwich. Personally, we are looking forward to trying apple cider donut holes they have now at Isle of Java in Discovery Island. Not all the food happenings at Epcot surround festivals. There are some fall specials at at Le Cellier (through November 18th) and Sunshine Seasons. Sprinkles has 2 special cupcakes this month, a pumpkin pecan pie cupcake and a double stuffed oreo cupcake. On November 16th, Terralina Crafted Italian will host apertivo time from 5 to 7 p.m. with appetizers and wine for $35. Tickets are are available here. Jock Lindsey’s Hanger Bar has some new holiday drinks. We can’t wait to try Jock’s Holiday Nog and Jock Frost. No one wants to get excited for an attraction or even entire park only to find it closed when you are there. Friendship boats (between Epcot and Hollywood Studios stopping) won’t be running starting November 28th. The International Gateway will still be open, but you’ll have to walk from the resorts or Hollywood Studios. Buses will be available from Epcot-area resorts to Epcot and Hollywood Studios. For all you Wreck-It Ralph fans, Ralph and Vanellope will starting to meet guests at Innovations East in Epcot starting November 21st. Up! A Great Bird Adventure at Animal Kingdom has a Diwali overlay for the holidays. Speaking of holiday overlays, Jingle Cruise is back at the Magic Kingdom. 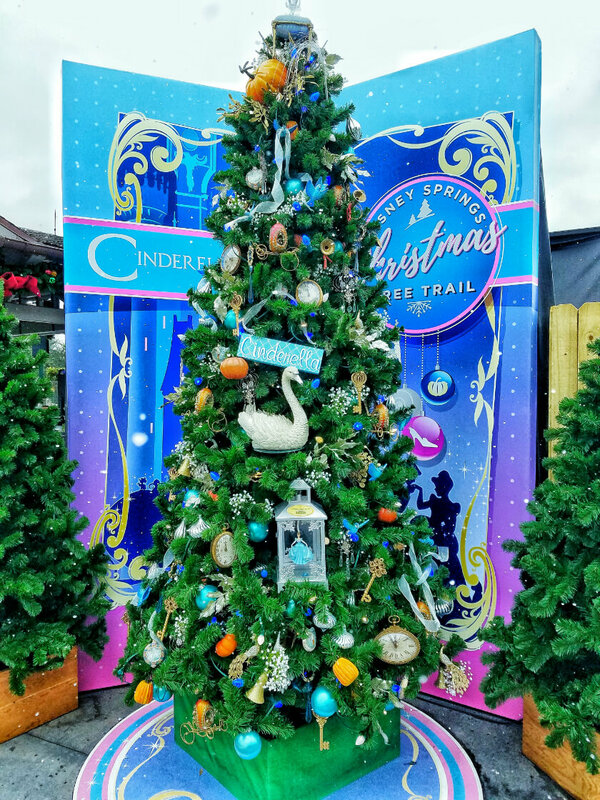 This fun Christmas version is popular so get your fastpasses early. Move It! Shake It! Dance and Play It! street party at the Magic Kingdom will be ending on December 1st, so check it out before it is replaced in the new year. Disney likes to keep us on our toes and coming back, so don’t be surprised if there are more new things announced throughout the month. We will be keeping you updated on Twitter and Facebook. 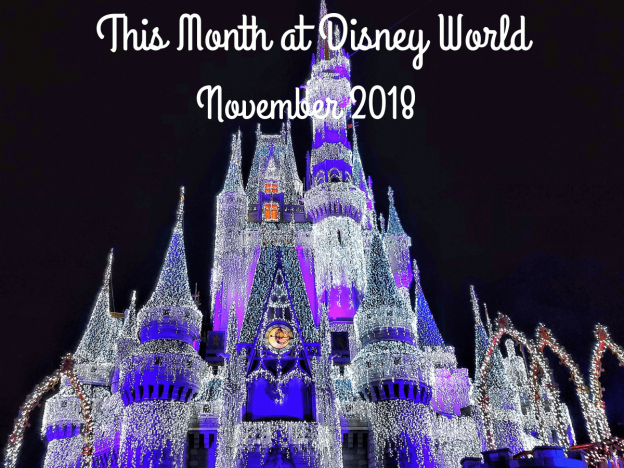 Will you be heading to Disney World this month? What are you most looking forward to? Leave a comment and let us know. As always, if you have any questions, leave a comment or send me an email. Follow along with more adventures on Twitter and Instagram.